Medication adherence is best understood as, “patients taking their medications according to their prescribed dose, time, frequency, and direction,” according to Prescriptions for a Healthy America, a Partnership for Advancing Medication Adherence. Poor medication adherence leads to higher possibilities of preventable diseases progression; unnecessary hospitalizations; avoidable doctor and emergency room visits; and other problems, all of which lead to increases in health care costs. The American Heart Association cites varying issues as to why patients do not adhere to their medication. Such issues range from financial barriers, cognitive issues, lack of family help, changes in lifestyle, fear of side effects to forgetfulness. Whatever the cause may be, it is a major issue which has cost 125,000 American lives annually. Today, leading and innovative pharmacists, hospitals, and physicians are all working to combat non-adherence by providing tools and programs that will help patients remember to take their medications on time. One way they are ensuring patient safety and proper medication administration is by implementing the use of multi-dose packaging of medications for retail, long-term care, and post-acute care patients. This has proven to become a better alternative to blister cards, pill boxes, and pill vials. Medications, including over-the-counter medications, are organized by day and dose time and packaged in clear, easy-to-read and easy-to-tear packages. These packages have easy-to-read labels with patient’s name, date, time, dosage, and all necessary drug information. These multi-dose packages are easy to take on the go and provide an easier, more convenient method to taking medications. Each package contains all maintenance, over the counter medications, and vitamins. 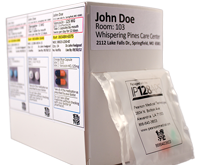 Each patient is provided a strip of medications with an individual multi-dose package for each administration time for up to a 1 month’s supply, with each package in the strip individually labeled to indicate the day and time of administration. Not only does multi-dose packaging encourage patients to take their medications, it can lead to a decrease in hospital readmissions. Multi-dose packaging also allows health care providers (especially untrained family members) to easily identify which medications to administer to their patients at any given administration time. 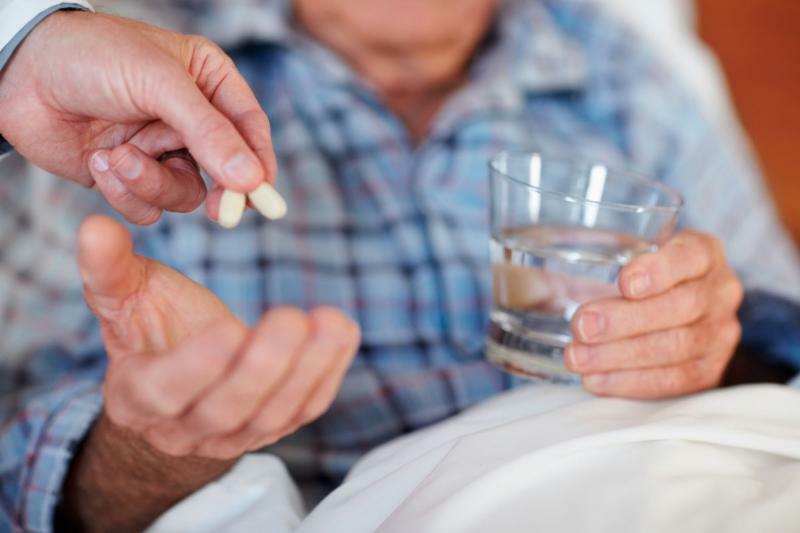 In long-term care facilities, including assisted living and nursing homes, many psychiatric facilities, and patient homes (especially for those high-risk patients), multi-dose packaging makes administration faster and safer and helps prevent possible medication errors. Each package can also be labeled with a drug specific bar code to enforce patient safety and track medication adherence. By using multi-dose packaging, patients and their health care providers become more familiar with medication procedures. All of a patient’s medications are in 1 box and can be placed anywhere for easily accessibility. Strips can be torn apart from the box and a strip of individual packages can be taken with the patient when traveling. This method helps patients achieve positive medication adherence and improve their overall patient outcome. Pearson Medical Technologies offers the IP128APS and IP256APS Automated Packaging Systems which facilitate medication adherence with automated multi-dose packaging. With 2′ x 2′ and 2′ x 4′ footprints, no other fully automated multi-dose packaging offers a smaller footprint at such a low cost for use in hospital, long-term care, or retail pharmacies for multi-dose adherence packaging. Contact Pearson Medical Technologies (www.pearsonmedical.net or 866-640-3603) to find out how your pharmacy can use the latest pharmacy automation technology in order to ensure patient safety, reduce health costs, and grow your business.